This month’s copycat case brings us to world renowned fast fashion retailer Forever 21 and young designer Sady Liang. It is not the first time Forever 21 has been caught fishing in troubled waters, yet this time the resemblance between their work at that of their victim’s is uncanny to say the least. Proof of this plagiarism accusation can be seen clearly in the picture above. 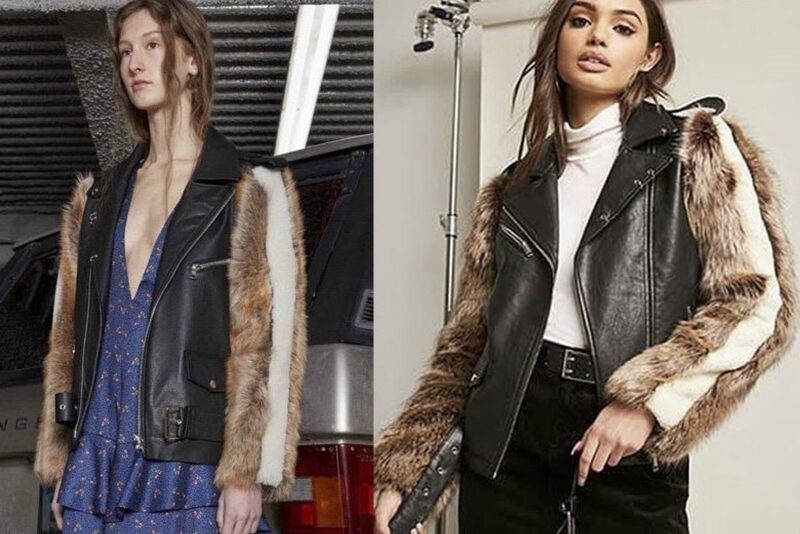 The copied piece in question is Sady Liang’s street-style furry jacket from her Fall/Winter 2015 collection. In the picture the piece on the left is the original jacket and the piece on the right is forever 21’s replica. Identical in every way. Unfortunately a young independent designer being plagiarised by a big fast-fashion chain is a tale as old as time, and sadly enough it will be repeated if you do not take action. This is the reason why Drawy was created. We keep on striving to create the perfect platform and juridical back-up in order to give independent designers the possibility to protect what they have worked so hard for.